Tequila, it’s one of the most divisive spirits in the market, and for good reason. You’d be forgiven if the mere mention of tequila brings up an automatic gag reflex from too many nights of bad shots and inevitable hangovers. But what you may not realize, is that true tequila doesn’t have to be a regret, and can in fact be a spirit that rivals the best of them when it comes to enjoyment. Fun fact: like true champagne can only come from the Champagne region of France, true tequila can only come from the state of Jalisco in Mexico. Mexican laws states the official tequila regions as the states of Guanajuato, Michoacán, Nayarit, and Tamaulipas. Tequila itself is a distilled beverage made from the blue agave plant which grows between five to seven years before harvest. Agave grows primarily in the area surrounding the city of Tequila (yes, there is actually a city named Tequila! ), 40 miles northwest of Guadalajara, and in the Los Altos highlands of the western state of Jalisco. The soil, climate, harvest period and distilling process all impact the final outcome of the flavour profile. So if the definition of tequila is so controlled, why is there such a wide gap between gut-wrenching and quality? 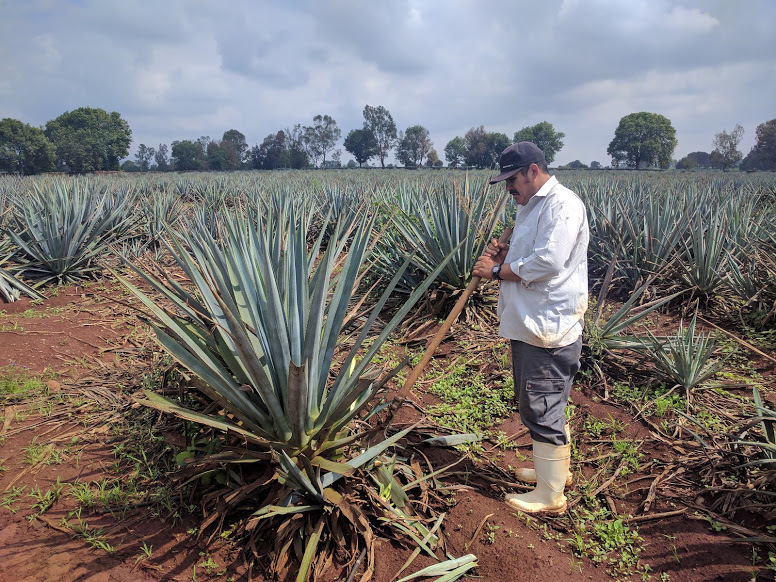 Here’s the trick: cheap tequila contains 51 percent of agave, the minimum required by Mexican law; the rest is supplemented with cheap sugar-cane based liquor and added caramel for colour and flavour. That bad hangover is the result of the additives, not the agave. Rule #1: Always source a tequila that is 100 percent blue agave. I cannot stress enough the night/day difference a pure blue agave tequila will be from the cheaper stuff. Rule #2: Don’t confuse colour with quality. Like I said earlier, colouring additives can make bad tequila look aged, so don’t judge a book by its cover. Blanco is the ‘purest’ form, coming straight from the stills. This coats the tongue with some fruity flavour and can have that tequila ‘bite’. Perfect option for cocktails and mixed drinks. Reposado is tequila aged for between two months to a year in oak barrels. This not only gives it a slight gold hue but cuts down the bite and drinks much smoother. Anejo is where you start hitting the top-shelf sipping tequila which are aged for a minimum of one year in oak barrels. This is also where different brands have a chance to put their own spin on the spirit. For example, Espolon Anejo is aged for 10 month in American oak barrels and then transferred into Wild Turkey Bourbon barrels for the remaining two. Extra Anejo is the rarest of the rare. Aged for a minimum of three years, these tequilas vary wildly based on the barrels used. These are the prized possessions of tequila drinkers, and should never be put in a mix drink. Rule #4: Price doesn’t dictate quality. An average bottle of Jose Cuervo will run you around $29 and an average bottle of Espolon is around $36. Not a significant price difference, but there’s a significant quality difference. Focus on the above rules rather than pricing. Rule #5: Never, ever buy tequila with a worm. Method: Rim a Collins glass with salt. Fill the glass with ice and add the tequila and lime juice, top with grapefruit soda. Garnish with a slice of grapefruit for good measure. Method: Combine the tequila, lime juice and ginger beer in a copper mug. Top with a heap of crushed ice and garnish with a lime wedge. Method: Combine all the ingredients in an old fashioned glass. Add an large cocktail ice cube and stir. Garnish with orange zest.